After the VANS collaboration and other related accessories, one of the last component that will complete Supreme‘s “Stars” theme mini-collection, the Supreme Stars Camp Caps, are here. Made with 100% cotton twill and embroidered with black stars in an all-over design scheme, the easy fitting caps are available in navy, black, olive, and much sought after woodland camo. 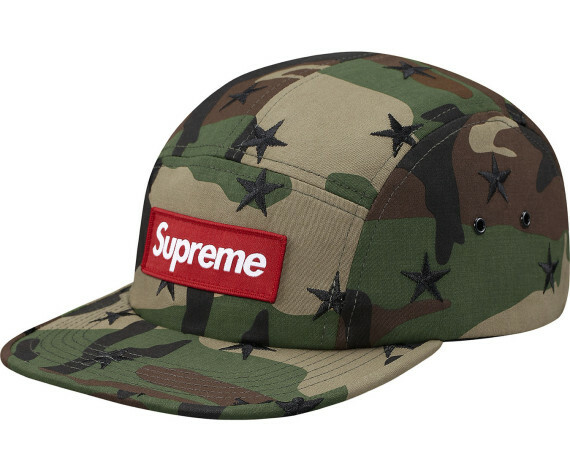 This entry was posted in Headwear, Streetwear, Supreme and tagged 5 Panel, Camo Stars, Caps, Headwear, Supreme. Bookmark the permalink.